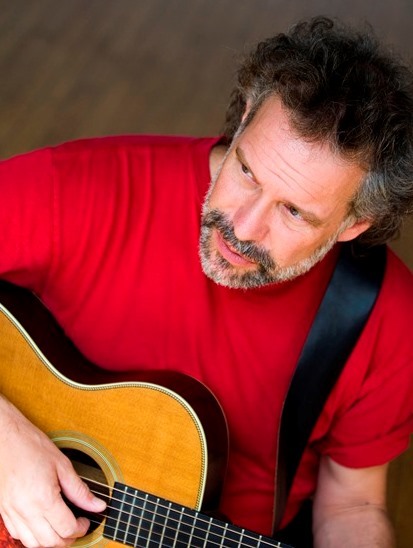 The Folk Music Society is very proud to present the extraordinary songwriter and singer, John Gorka. We’ve been working on getting him here for the last 2-3 years, and finally our schedules match! John performed in our series early in his career, showing his talent with songs like Branching Out and over the years he has built a very impressive body of songs that makes this a must-see show. He is originally from New Jersey, and now lives in Minnesota, and unfortunately he doesn’t get to Southern California very often. John can be a very funny guy, almost goofy at times, but when he sings, his deep, resonant voice makes you want to listen closely, and he has a lot to say. Listen to Let Them In, based on a poem that was sent to him that he put to music. He generally mixes in a few songs by other songwriters, and maybe a cover or two of a familiar song, but it is his original songs that really stand out. He crafts his songs extremely well, covering a wide variety of subjects, based on people he has met and things he has seen. Some are fun and humorous, others have social commentary or tell emotional tales. He moves easily through many genres, sometimes even mixing them. John is a great listener and observer of the world and he describes it all so well. On top of that he is a very fine guitarist, and his fingerpicking adds a great deal to the songs. The show will be in Beckman Institute Auditorium (Little Beckman) at 400 South Wilson Avenue. On concert night, free parking is available in the lots at the south end of Michigan Avenue. Tickets are $20 for adults and $5 for children and Caltech students. They are now available at the Caltech Ticket Office by calling (626) 395-4652 and at the Caltech Ticket Office in their new location at 1200 E. California Boulevard in Pasadena (Southeast corner of Wilson Avenue). Their usual hours are 10:00 a.m. to 4:30 p.m., Monday through Friday. They are available online as well, click the button below. There is a fee for phone orders and for online tickets, while purchases at the Ticket Office are free. Tickets can also be purchased (without additional fee) at the door of the venue one half hour before the show, but it is always wise to call the Ticket Office a day or two before a show to ensure they are not close to a sold out show. We hate to have to turn people away, which occasionally happens!